Rajiv Gandhi Water Sports Complex is also known as the Andaman Water Sports Complex, this visit place is filled with fun, excitement and enjoyment. Another extra attraction in Andaman is in the heart of Port Blair. Rajiv Gandhi Water Sports Complex offers travelers a range of exciting water sports activities and the touring list includes rowboats, pedalos, etc. In adventure sports you will find sports such as parasailing, banana boats, speedboats etc. Other than offering a serene and enjoyable sports experience, Rajiv Gandhi Water Sports Complex also has a historical prominent character. This is the memory of the Battle of Aberdeen, which was fought in 1859 between the Andaman Aborigines and Brits. Therefore, the Rajiv Gandhi Water Sports Complex contains several reasons that make it worth visiting your Andaman trip. The Rajiv Gandhi Water Sports Complex also houses a memorial to the Battle of Aberdeen, which was fought in 1859 between the British and Andaman Aboriginals. These unspoiled islands offer cozy and unforgettable water sports. 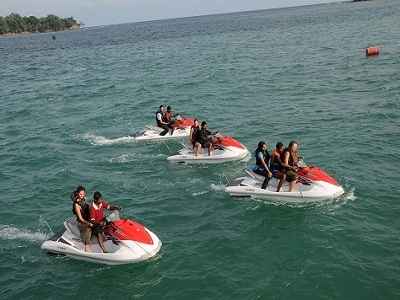 The facilities for these water sports activities are available in Port Blair and other islands. Andaman & Nicobar Islands, surrounded by a rich coral reef ecosystem, offer a unique diving experience for life. 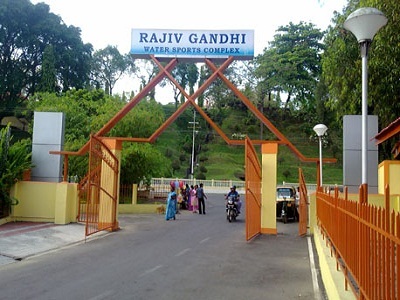 The Rajiv Gandhi Water Sports Complex in Port Blair provides safe water sports and adventurous water sports, such as pleasure-riding on speedboats, jet skis and banana rides. 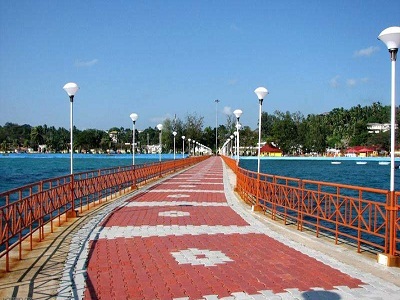 At the eastern end of Port Blair is Rajiv Gandhi water sports complex. The complex offers a range of water sports courses: banana routes, jet skiing, parasailing, speedboat tours, rowing boats and much more. They also have diving. It has a jetty that is the starting point for many island shopping excursions. Water Sports also has a Rs.4500 package with a personal speedboat, as you can go to North Bay Island and Ross Island, along with all the adventure activities. 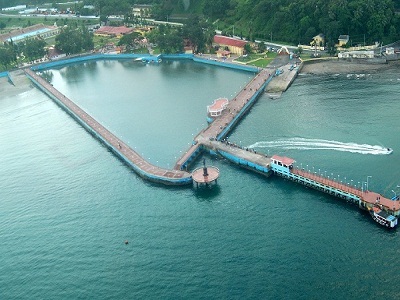 Andaman Watersport Complex, also known as the Rajiv Gandhi Water Sports Complex, located close to the cellular prison in the northwestern part of Port Blair. The sports complex offers a range of water sports facilities and adventures. Activities such as sailing, parasailing, pedalos, water skiing, rowing, water skiing etc. are possible in the water sports complex. In addition to water activities for all ages, the monument to remembrance of the Aberdeen battle can be seen within the complex structures. The artificial waterfall in the region is also another attraction. There is a children’s park nearby. These properties of the Andaman Water Sports Complex and the easy communication have made the place popular. Many tourists, who stay for a few days, will be in the place of training in various water sports. Rajiv Gandhi Watersport Complex is located near Cellular Prison and has everything to do with sailboats, water scooters, rowboats, kayaks and pedalos. The tourist can fully enjoy parasailing and water skiing. Rajiv Gandhi Water Sports Complex, designed as a tribute to the Battle of Aberdeen, is also hosting a playground.